This seminar was successfully held at Vienna from September 14th to 18th, 2017. Participants from investment companies, banks, industrial corporations, state ministries and law firms, but also private investors, came to Vienna and gained valuable new informations and insights into alternative investment strategies for today's negative-interest markets. As one participant put it: "The lessons themselfs were already more than worth their time and money. But even invaluable were the intense, open-minded and sometimes even outspoken discussions among participants and speakers during the private evening dinners, the late-night sessions at the HalleNsalon bar or the social events like the Champagne Brunch on Sunday." You missed this event? Benesteem intends to organize a similar seminar in 2018, again in Vienna. If you are interested, please send us a message at the end of this page. You'll receive, without any obligation, a personal invitation as soon as the seminar's details are determined. What is a safe-haven investment ? Commercial Real Estate - the cash-cow of the 21st century ? Liechtenstein Stiftung: Don't forget your family affairs - catering for your heirs and loved ones ! The Automatic Information Exchange AIE/OECD-CRS - a ticking bomb for the private investor? In the "good old times", bonds and other fixed-income instruments from souvereign states and banks, or dividend-paying shares of "blue-chip" corporations had been the typical financial investment tools to secure wealth and obtain continous income with low risk and for many decades. But today, with negative interest rates for investment-grade bonds, and stocks from formerly top-rated giants like General Motors, Royal Bank of Scotland and others wiped out most of the investor's money, the challenge of finding a safe-haven investment calls for new solutions. This task is challenging not only to private investors and family offices, but also for institutional investors like insurance companies or pension funds, which must find a secure, long-term and profit-paying investment solution. Also banks, faced with negative rates on their central bank deposits, look for a safe and regulations-compliant alternative for their excess liquidity. A very promising solution to this dilemma are investments in commercial real-estate, given the property is well-managed and situated at a top-class location. Commercial real-estate generates a contious cash-flow from rental payments, offers the intrinsic security and inflation-protection of real-estate, and additionally provides an opportunity for long-term capital gains. But on the other side, real-estate investments require a lot of special expertise, and permanent supervision and management, and they are exposed to risks like geopolitics or excessive taxation. During this seminar, we will see and discuss how a profitable and safe real-estate investment should be designed and managed, what results can be expected realistically, what long-term strategies should be followed and how the investment should be set up to minimize tax exposure and political risk. A very interesting topic will be the so-called "Private Investor Fund" under Liechtenstein laws, a state-supervised, bank-administrated investment structure, which is suitable for large investments by groups of private and/or institutional investors. Presented by speakers from top management and decision makers of major European banks and investment companies as well as state and regulatory bodies, this seminar is destined to provide valuable new informations and insights both for the private as well as for the institutional investor. 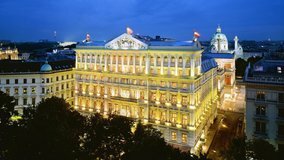 The seminar hotel, the Hotel Imperial, is Vienna's leading luxury-class hotel, situated at perfect location at the prestigous "Erster Bezirk" (= first district), the cultural, policital and historical heart of Vienna city. Located in the former aristocratic town residence of the Prince of Württemberg, the Hotel Imperial offers its guests a palace of imperial grandeur since 1873. Famous for its spacious rooms with very elegant historic design and equipped with antique furniture, its grandiose ballrooms and meeting salons, the Imperial offers its guests inimitable service, luxury and absolute privacy. 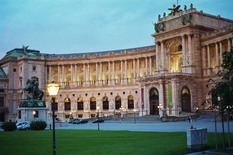 Vienna, the capital of Austria, is an economically, politically, and culturally important Central European metropolis with a unique charm and vibrancy. The place combines an international atmosphere with the traditional flair of its coffeehouses and the grandness of its imperial history. 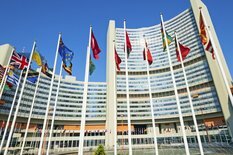 Vienna is a preferred destination of international conferences and events, and historically provides a neutral ground for even politically very delicate meetings. Besides the lectures, there will be plenty of time for personal discussions with the speakers or fellow participants, either during the sessions or at the evening dinners and social events. For accompanying spouses, a "ladies' programme" will be organized to show the cultural and historical masterpieces of Vienna, and to provide an opportunity to experience the real, authentic Viennese lifestyle. Seminar Language: English. For lectures given in English, an on-site translation service into Russian language will be available. If you want additional information about the oncoming seminar, please send us a message by the form below. We'll send you, without any obligation, a personal invitation as soon as the seminar's details are determined. All information will be kept confidentially inside Benesteem, not given to any third parties, and will be stored and processed according to the Swiss laws on data privacy (Datenschutzgesetz DSG). Please enter your telephone / mobile number. Please me call back during the times indicated above.